Ford has updated its compact Transit Connect cargo van with two new engines. The standard gasoline engine is a direct injection unit, and it comes with an eight-speed automatic transmission. Equipped with a start-stop function, it's also beefed up with a heavy-duty battery; a matching heavy-duty alternator is available. The engine can handle E85 fuel. Speaking of fuels, the other new engine option is a 1.5-liter EcoBlue diesel, which Ford says is the sole diesel option in the compact cargo van segment. The diesel is EPA-rated at 30 mpg highway, and it's also coupled to the eight-speed automatic mentioned above. 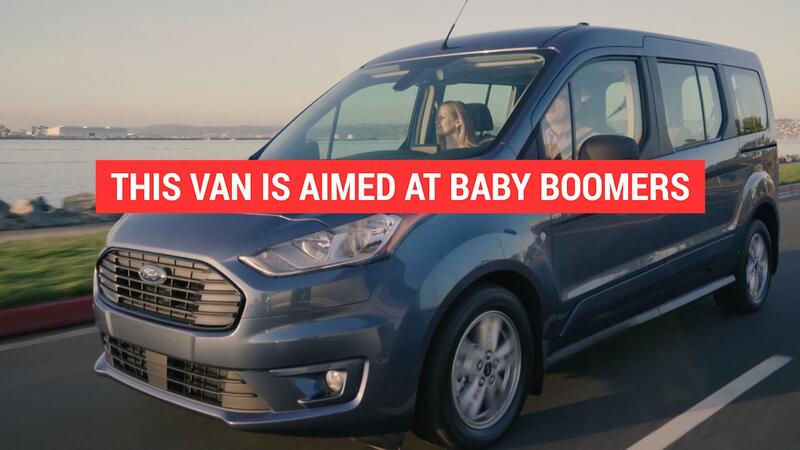 The third engine option for the 2019 Transit Connect is a fleet-only 2.5-liter CNG/propane-powered engine, and the transmission in those is a six-speed auto. The "Connect" in Transit Connect can also stand for mobile connectivity, as the van comes standard with a 4G LTE wireless setup that allows up to 10 devices to be hooked up to it. Wireless mobile charging is also available, which is a segment first, according to Ford. But that's not the only change in the cabin, as the seats have been redesigned with more comfort in mind. Continuing with the tech, the 2019 Transit Connect's standard equipment includes pre-collision assist with pedestrian detection. There's also side-wind stability assist, which is handy in a van, and a standard rear-view camera to help maneuverability. Adaptive cruise control is an option, as is a lane-keeping system and a blind spot warning system.